Unleash the true potential of the HP PageWide XL with PlotWorks, the only independent multi-vendor print management solution, for professional high-volume reprographic houses, studios, manufacturers, architects and engineers. With the HP PageWide XL series HP is changing the game and PlotWorks is right there to optimize the HP PageWide XL for your production environment. 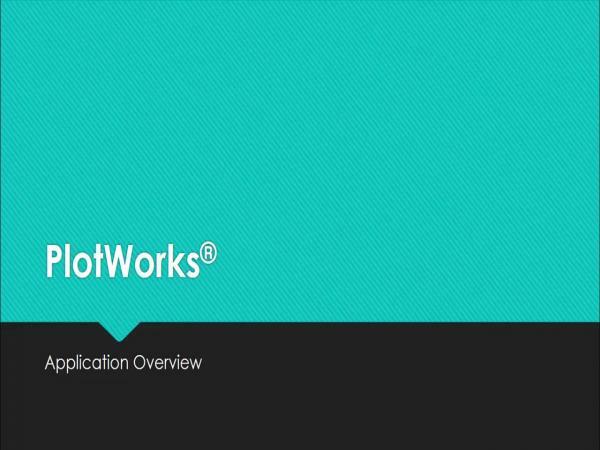 Why optimize your HP PageWide XL with PlotWorks? 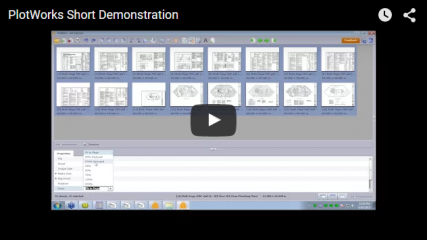 Production-ready workflow & automation for large format technical documentation. 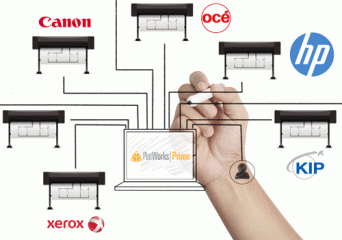 As the only independent vendor-neutral print management solution, PlotWorks enables you to standardize your print devices - today and in the future - and partner with the industry leader in production printing workflow. Run your new HP PageWide XL right alongside your KIP, Océ, Canon, Xerox, & Ricoh equipment, and all from centralized workstations. We know how demanding and ever changing the reprographics arena can be so we use crowdsourcing technology to listen to our customers feedback and deliver enhancements to optimize functionality and streamline workflow. In your demanding world saying no to a job because you cannot process a file or experience inaccuracies is not acceptable, so our team of highly-skilled, production printing experts work alongside you to help and advise on any issues and incorporate the solution into our next release. Dynamic multi-thumbnail viewer for super fast job preparation﻿. Queue management - load balancing, job reprint, pass through or hold﻿. 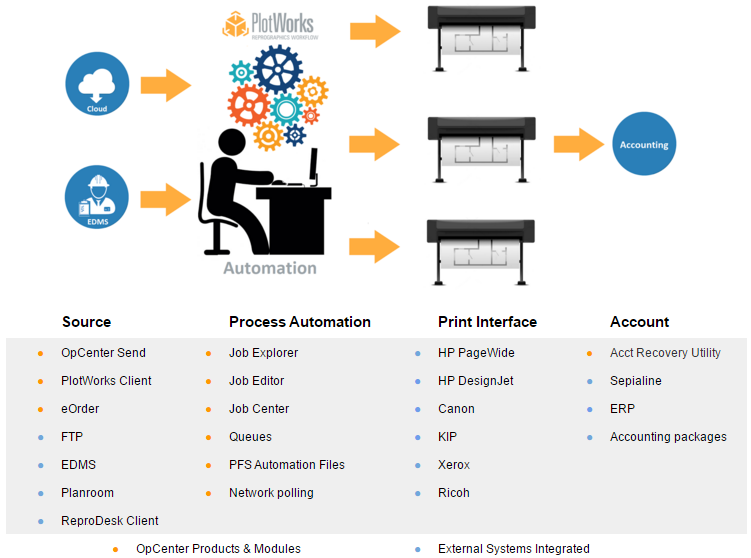 Integration & full automation from - PlotWorks eOrder, Job Center, 3rd party ERP, DMS, & accounting systems. What's even faster than an HP PageWide XL? 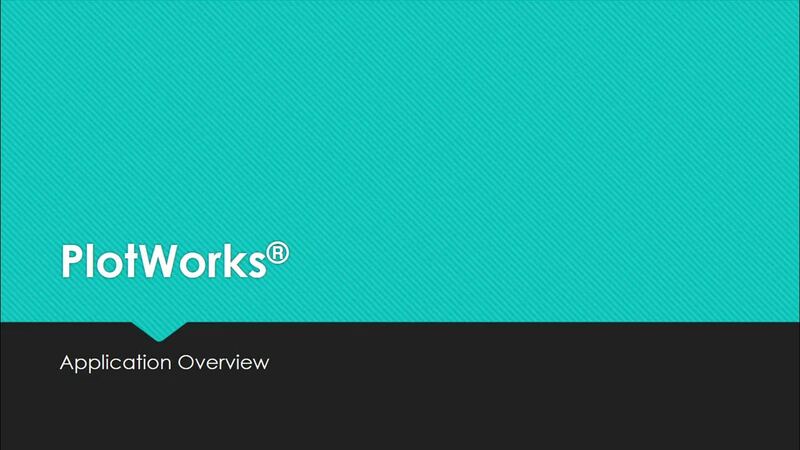 Simple, an HP PageWide XL driven by PlotWorks! Up to 6 rolls - automatic roll switching when a roll is depleted or a different page size is selected. Dual HP ink supplies with auto-switch - replace used cartridges while the printer is running. High-capacity output solutions specially designed to keep up with HP PageWide Xl printers speed (high-capacity stacker or online folder). 4.8-inch touchscreen - status light reports current status and provides progressive alerts on potential issues that could impact production (i.e., out of paper or ink). 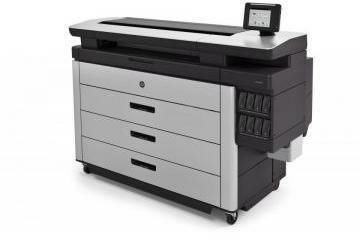 The new XL 8000, 5000, and 4000 are the fastest large-format production printers available in color and black and-white. The HP PageWide XL printers can print at speeds up to 30 D/A1 prints per minutes, and are up to 60% faster than the fastest monochrome LED printers on the market. The XL 8000﻿ is the largest printer, offering high-end production printing of large format CAD files and graphic prints. The 8000 model can print up to 30 D/A1 prints per minute. The ink cartridges for this model can print up to six rolls of paper for high volume jobs. The XL 5000 is targeted at small- to medium sized print houses and can print up to 14 D/A1 prints per minute. Ink will last for up to four rolls of paper. In the entry-level XL 4000 series, there are two models: the 4500 and 4000 printers. The 4500 printers can handle up to 12 prints per minute. The models run from the range topping HP DesignJet page wide XL 8000 that would suite a very busy central print room to the slightly tamer HP Designjet page wide xl 5000, to the lower end HP Designjet page wide xl 4500 and HP Designjet page wide xl 4000 which are slower but still fast in the world before PageWide. 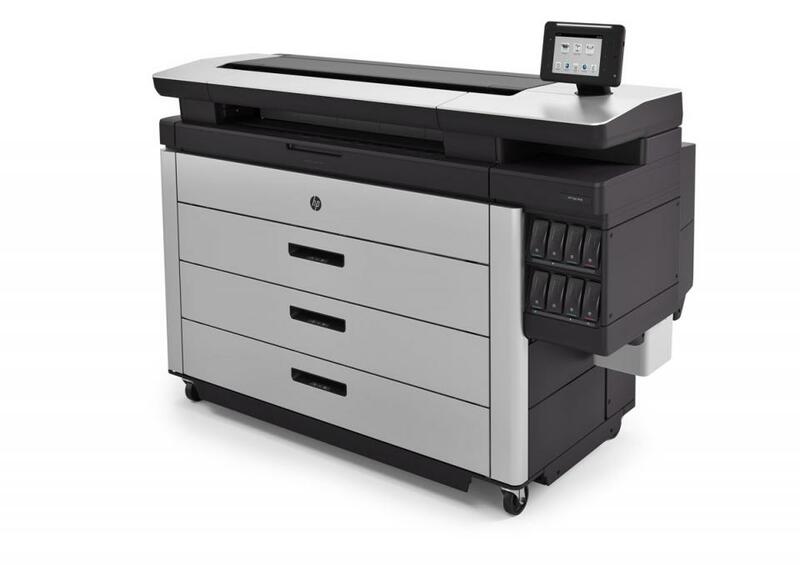 The HP page wide XL 8000 is only available as a printer but the HP page wide xl, 5000 HP page wide xl 4500 and HP page wide xl 4000 are also available as MFP (multi-function printers) with scan & copy functionality, for the reproduciton of technical drawings, ideal for reprographics departments and print shops that offer plan printing and blue print printing. HP claims the new HP PageWide XL Pigment Inks are superior to LED prints, providing dark blacks, vivid colors, and are moisture and fade resistant. Based on HP Thermal Inkjet technology, the HP PageWide XL printers deliver high ink efficiency and long-life print heads when compared with LED printers. There are also different types of paper available, including Universal Bond Paper, Production Matte, Glass, and Satin Poster Papers for different types of print jobs. Based on reliable HP Thermal Inkjet technology and HP PageWide XL pigment ink, HP PageWide Technology offers high quality at high printing speeds. Scalable to meet a wide range of application and performance requirements, HP PageWide Technology provides low cost of operation in both monochrome and color. 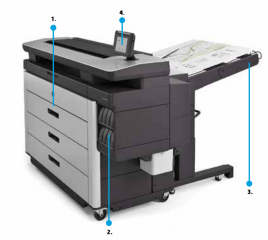 The HP XL 8000 Printer includes a stationary 40-inch (101.6-cm) printbar that spans the whole printing width. As paper moves under the printbar, the entire page is printed in one pass, enabling very high printing speeds. 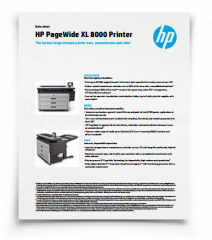 Reliable operation for high-volume printing Designed for high-volume operation, the XL 8000 Printer is based on proven HP PageWide Technology, currently powering HP Inkjet Web Presses—producing 4 billion impressions annually—and HP X series business printers. HP 841 PageWide XL Printheads provide reliable and long life operation, with an average life per printhead of 32 liters. Setting a new quality standard for technical documents HP 841 PageWide XL Printheads, working with HP PageWide XL pigment ink, are designed to produce durable and high quality output with dark blacks and vivid colors.